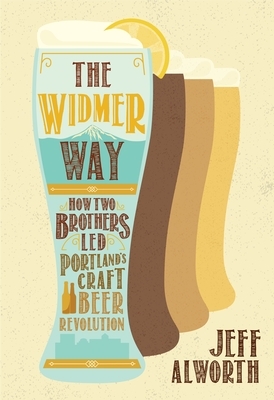 Written by Portland beer guru Jeff Alworth (The Beer Bible, Beer Tasting Tool Kit), The Widmer Way chronicles Kurt and Rob Widmer's journey from humble homebrewers to craft beer pioneers and purveyors of the iconic Widmer Brothers Hefeweizen. Alworth also dives deep into Portland's history, setting the scene for Widmer's rise in the city now known for its exquisite beer. Drawing from hours of interviews with Kurt and Rob, close family and friends, and big names in the beer industry, The Widmer Way offers an exclusive look into the Widmer brothers' lives and their enormous impact on craft brewing in Portland and beyond. Alworth explores the Widmer family's beer history, the brothers' German influence, the brewery's distribution deal with Anheuser-Busch, and the formation of the Craft Brew Alliance, one of the largest craft brewing companies in the United States. Kurt and Rob Widmer have a deep affection for the city that fostered their success, providing sports team sponsorships, support for up-and-coming brewers, and hundreds of jobs for their community. The Widmer Way emphasizes this special relationship with a story that will resonate with Portland's legion of beer aficionados as it illustrates how Portland became "Beervana."